Up until June 30 2018, Ranbuild’s sheds and garages are discounted to unbelievable prices. Ranbuild’s End of Financial Year Sale is the perfect time to upgrade to a new shed or garage! Don’t wait until June 30 to take advantage of these great deals and big savings on all Ranbuild Sheds. Ranbuild’s extensive range of styles and colours are all on sale. Request a quote today and simply pay a deposit before June 30 to get your Ranbuild shed for less. Ranbuild sheds and garages don’t just look great, they are built using the finest BlueScope steel in either COLORBOND® or ZINCALUME®, proudly Aussie made and Shed Safe Accredited. 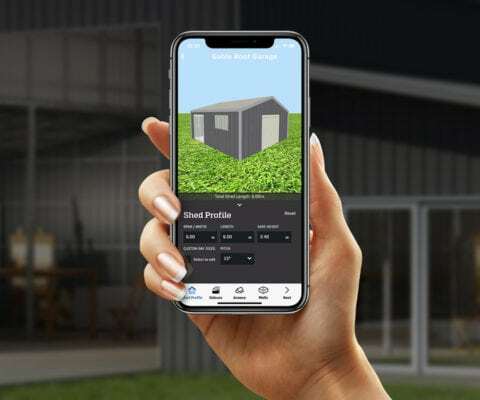 So now is the right time to buy your new shed, garage, carport, hay shed, machinery shed or commercial sized building, Ranbuild is offering super savings across our entire range. Request a quote NOW or contact one of our local accredited Ranbuild dealers today to discuss your new shed or garage.